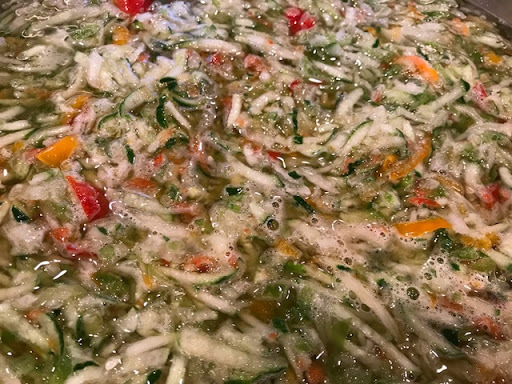 We were given an abundance of pickling cucumbers recently. 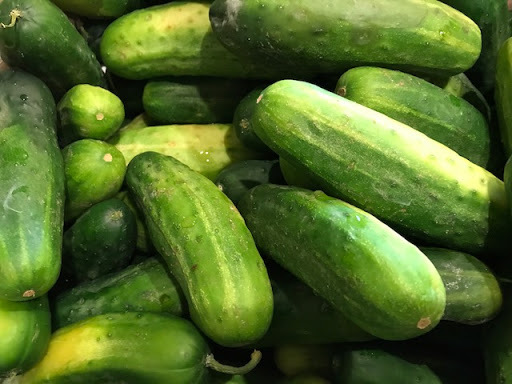 Pickling cucumbers are much smaller and have fewer seeds than regular cucumbers. I have found they stay crispier when making pickles. 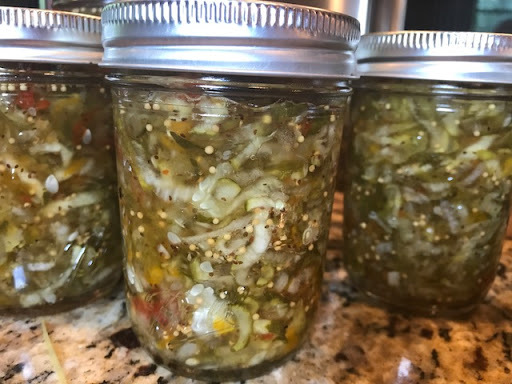 I have already canned a couple of dozen jars of pickles this year, so decided to make sweet relish with these. This is a recipe I have used for many years and we love it. It is great in tuna salad, potato salad, on hotdogs, or salad dressings. I use the food processor to chop the vegetables. Once chopped, place them into a large container, add the salt, mix well, and cover with cold water. Let this sit for 2 hours, drain, and press as much of the liquid out as possible. 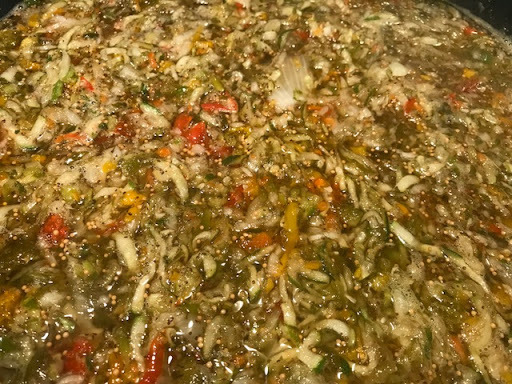 In a large pot, bring the vinegar, sugar, and seeds to a boil. Add the vegetables and return to a boil. Reduce the heat and simmer for 10 minutes. Ladle into half pint jars using a slotted spoon and pack slightly. I add liquid at the end to fill the jars. Process in a water-bath canner for 10 minutes. This will make 6-7 half pints.